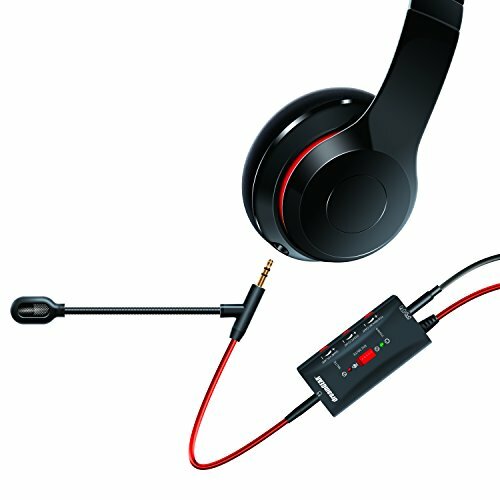 Transform your studio quality music headphones into incredible, full functioning gaming headsets! If your headphones have a removable cable, the BoomChat Pro is a replacement cable that adds an echo free, super flexible boom microphone. It also adds an inline amplifier and controls for separate voice and sound volume settings. 16-foot premium, flat, rubberized cable for extra durability, plus USB cable for amplified power. High performance, echo free flexible boom microphone. Gold plated audio plug for best possible connection. Perfect for use with Beats by Dre .